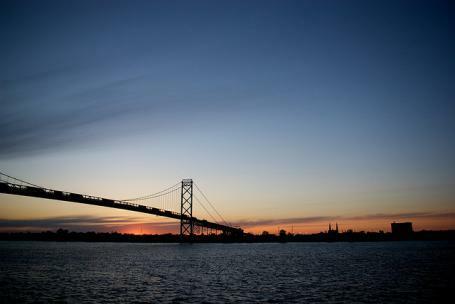 The swap could provide the Bridge Company, which owns the Ambassador Bridge, with access to city-owned land it’s long coveted for a potential second span between Detroit and Windsor. But first, it must get state and federal approvals for that project. The city stands to get $3 million and nearly five acres of Bridge Company property to expand and upgrade Riverside Park, which sits in the bridge’s shadow along the southwest Detroit riverfront. The proposal has sparked heated controversy in that community, which has a contentious history with the Bridge Company. Many residents strongly support the deal, saying it’s an unprecedented opportunity to improve the long-neglected park and provide more recreational opportunities for children. But others, like community activist and Detroit Riverfront Conservancy board member Maria Elena Rodriguez, say the company has a checkered history of blight violations and illegally seizing public land—including the property in question. But the deal is conditional on the Bridge Company holding up its end first of the bargain first, says Duggan’s chief of staff Alexis Wiley. As for Council members’ concerns regarding language expressing the city’s support for a second bridge, the Council can ask for additional provisions “if and when the second span is approved,” Wiley said. But Council members say not all their questions have been answered. They’re still waiting for a report outlining the city’s history of litigation against the Bridge Company, which includes a years-long legal battle over the Riverside Park land that eventually led to the Bridge Company being evicted in 2012. Also outstanding is a report from the Michigan Department of Natural Resources, addressing possible federal and state restrictions on the sale of Riverside Park land. 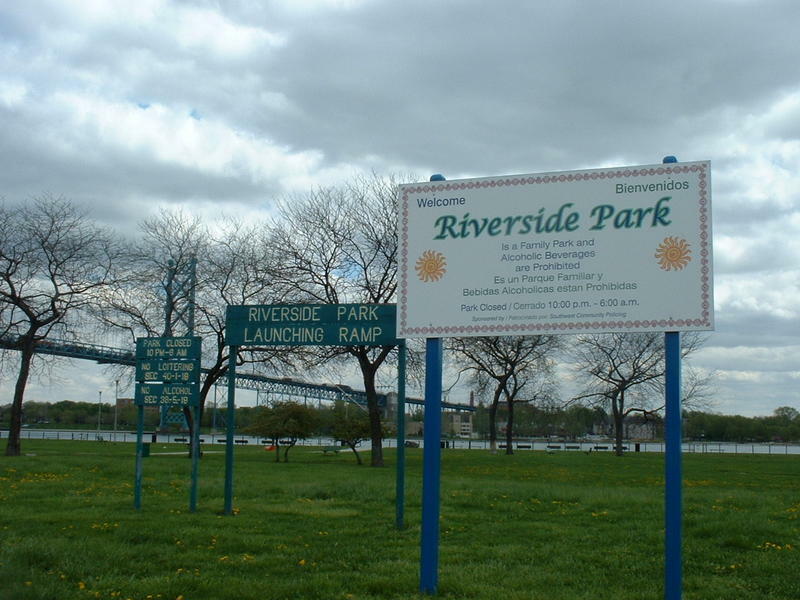 Because Riverside Park was “acquired and approved” with certain state and federal monies, “the city cannot sell the park to another entity, such as the Detroit International Bridge Company, or allow the park to be used for purposes other than public recreation, such as the erection of a privately-owned bridge,” senior assistant corporation counsel Eric Gaabo wrote in a 2011 letter. While Gaabo acknowledged a sale could happen “under certain circumstances” with proper state and federal approvals, city lawyers at that time considered such a transaction too problematic. The city’s current corporation counsel has pronounced the deal legally sound, though Council attorneys have expressed reservations. The Michigan Department of Environmental Quality is also expected to release a report next week detailing efforts to clean up legacy contamination at the site. Wiley says Duggan’s office will work to address Council’s concerns, and hopes the deal is approved this month so that Riverside Park improvements can start right away. “We’re committed to providing all the information that they’re requesting, and we’re hoping that this gets approved, because it really is a great deal,” Wiley said. The Detroit City Council is set to vote on a riverfront land deal heavily touted by Mayor Mike Duggan today. But some council members say there are too many unanswered questions about a key part of it. Detroit Mayor Mike Duggan is out and about in Detroit, trying to drum up support for a controversial land deal. The proposed deal involves the city receiving almost 5 acres of riverfront property, currently owned by the Ambassador Bridge Company, along with $3 million. The city will use that to expand and improve Riverside Park, which is adjacent to the bridge in southwest Detroit. The city of Detroit is temporarily closing Riverside Park in southwest Detroit because it sits on contaminated land. But some residents are suspicious, because the park is no stranger to controversy. Riverside Park sits next to the Ambassador Bridge. 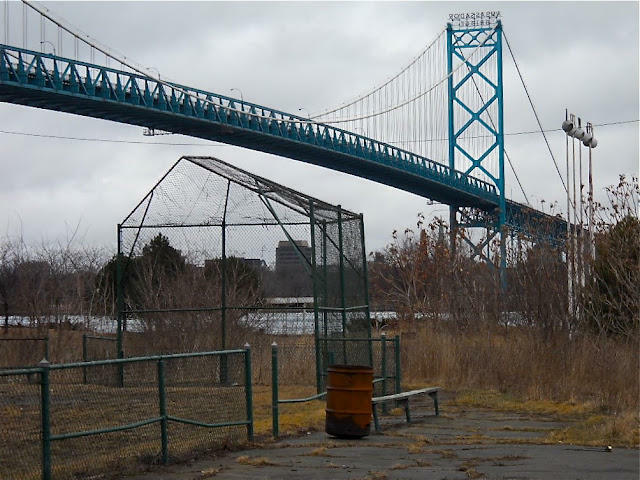 In 2002, the Detroit International Bridge Company fenced off part of the park, supposedly for security reasons. After years of legal wrangling, the city evicted them and re-claimed the park for public use.